Canadian retailer MEC finds itself embroiled in a consumer boycott for carrying products affiliated with a semi-automatic gun company. But can a Canadian boycott actually affect the fight for gun control in the U.S.? UPDATED: Mountain Equipment Co-op announced, March 1, that the company will stop selling products from Vista Outdoor, including the brands Bollé, Bushnell, CamelBak, Camp Chef and Jimmy Styks. 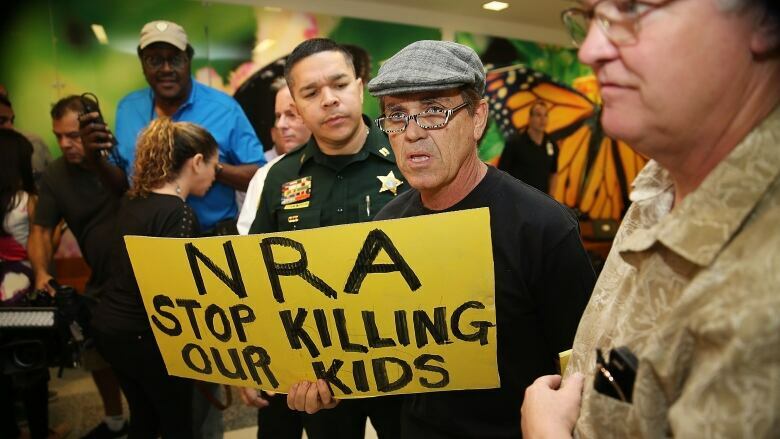 Two weeks after the Florida shooting that left 17 dead, Canada's outdoor company MEC is the latest target of a series of consumers boycotts calling on companies to cut ties with the National Rifle Association. 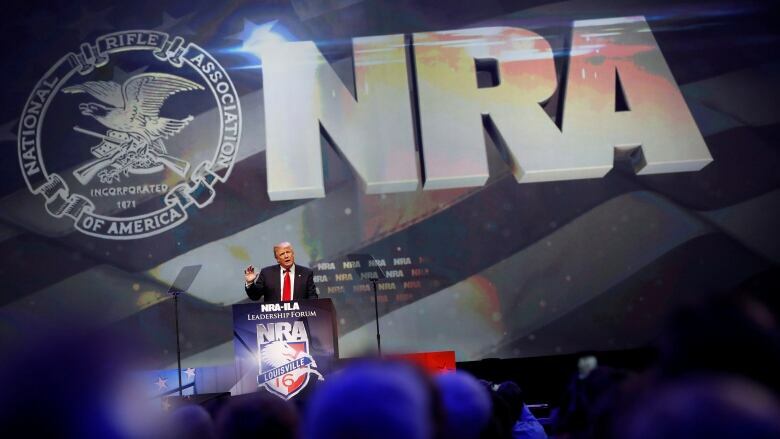 Activists are going after the NRA because of its strong opposition to gun reform, which has meant going after the association's primary funders — gun manufacturers. Mountain Equipment Co-op does not sell guns, but it carries products made by a company called Vista Outdoor Inc., who is also the parent company of the semi-automatic weapon manufacturer Savage Arms. An online petition calling MEC to stop carrying brands owned by Vista Outdoor Inc. — including CamelBak, Bushnell, and Camp Chef — has acquired the support of over 37,000 people. MEC has not yet announced how it will go forward on the issue. But critics say consumer boycotts fail to inspire significant action, and often take the middle-man down with them. In the wake of the Florida shooting, Sarah Latha, the MEC member who started the online petition, wanted to affect positive change. "This is about the connection to makers of semi-automatic weapons. These weapons are designed for combat and they're used in mass murders," she told The Current's Anna Maria Tremonti. Latha felt leveraging MEC's five million members would amplify her activism and take a stronger stand against gun manufacturers. "While purchasing decisions are obviously individual, product offering decisions are not. These are decisions made at the corporate level," Latha said. "And to my mind that multiplies the impact of my actions by 10." A.J. Somerset, gun owner and author of Arms: The Culture and Credo of the Gun, says he shares Latha's distaste for the NRA. "The earth could open and swallow the NRA and I wouldn't mind — at all," he told Tremonti. But Somerset takes issue with Latha's activist strategy. He thinks the action will have no positive, practical impact. "Whether MEC chooses to sell Bushnell and CamelBak will have no effect on the operations of Savage Arms or federal ammunition." However, Somerset is concerned about the impact the controversy will have on Canadian companies. "The Canadian distributor for CamelBak, … for example, is a company whose core business is bicycles. They have nothing to do with guns. But they will be affected if MEC decides not to carry those brands." But as Washington Post's Avi Selk identifies, the MEC boycott must be considered in its broader context. The action contributes to the current push to isolate the NRA by making it appear bad for business. "The intent of a lot of people behind the boycott is to try to turn the NRA — which was once a revered institution in the United States and is still incredibly powerful as a lobby — into a pariah, into something toxic that normal corporations and businesses won't affiliate with." Nonetheless, Somerset believes the profit motive of selling semi-automatic weapons ensures, "there will always be gun manufacturers," and the NRA in turn. He says the gun problem in the U.S. has evolved because of a lack of commitment on the part of Americans, and the only way to really effect change is to make this an issue that counts for politicians. "What is really needed is for people to continue the pressure that's on now and show up at the ballot box … this has not happened in the past and that's why they're in a mess." Accordingly, Somerset says it's difficult for Canadians to effect change in America because we can't vote. But he thinks we can put pressure on international companies that directly serve the political agenda of the NRA, like Amazon and Google, who carry NRA TV. Somerset also believes we should honour our own democratic obligations, and address Canadian gun issues. "We have our own gun issues in Canada which the public tends not to be very familiar with. And there are different issues that require different responses." Latha's emphasized that the MEC boycott is not just an attempt to stifle Vista sales, recognizing other Canadian brands are selling its products. 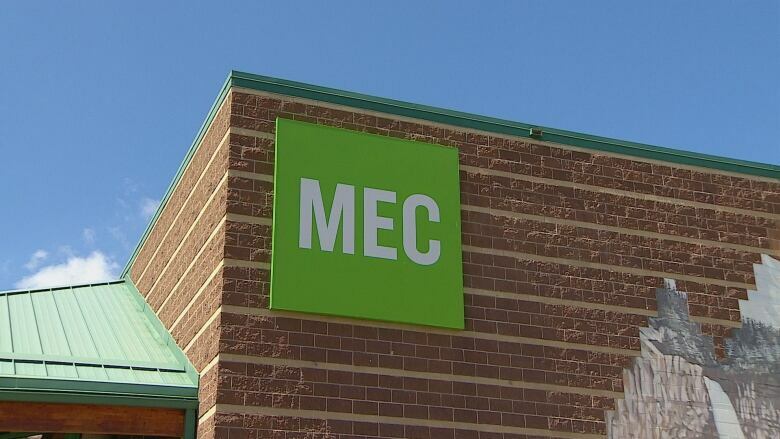 She told Tremonti, it is also about how MEC is failing its members in defying its mission statement "to inspire other organizations to be socially and environmentally responsible," and not functioning as a co-operative. "We are engaging MEC's governance structure," Latha said. "One of the things about being a democratically run business is that they are accountable to their members." Why is this taking so long? MEC prides itself on being a thoughtful organization that looks at the whole system based on the facts and information at hand. Whatever decisions we make will have wider implications for the brands we carry, our sourcing practices, financial health, and ability to meet our members' needs. What are the brands in question? Bolle, Bushnell, CamelBak, Camp Chef, and Jimmy Styks. Save for Camp Chef, MEC's relationship with the brands predates Vista Outdoor's ownership of them. MEC does not sell Bell or Giro products. Does MEC have a relationship with the NRA (National Rifle Association)? No. We do have long-standing relationships with the brands mentioned above. 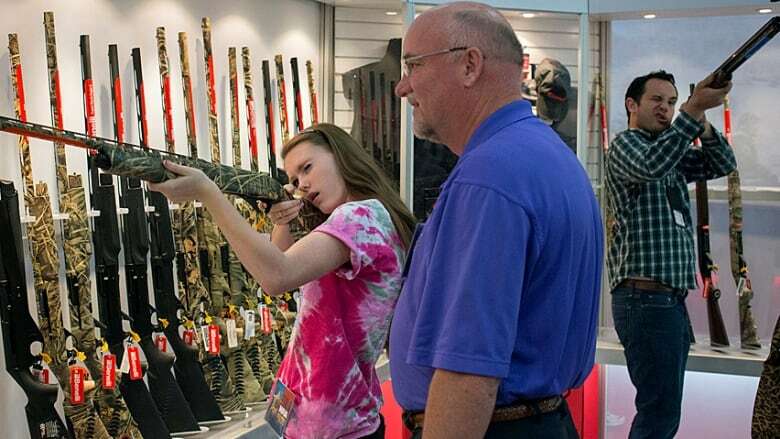 Any direct association with the NRA lies with Vista Outdoor's firearm and ammunition brands. Is MEC anti-hunting? No. While we don't sell guns and ammunition, many MEC members hunt or practice sport shooting responsibly. Next steps: We continue to talk directly with our peers, as we explore our options. Meantime, please continue to share your views with us. This segment was produced by The Current's Idella Sturino, Ines Colabrese and Danielle Carr. Experts wary of Chinese president's move to end term limits, so why are world leaders staying quiet?